As an oily-skinned person, I tend to gravitate toward eye oils and balms for night and eye creams and serums for day. 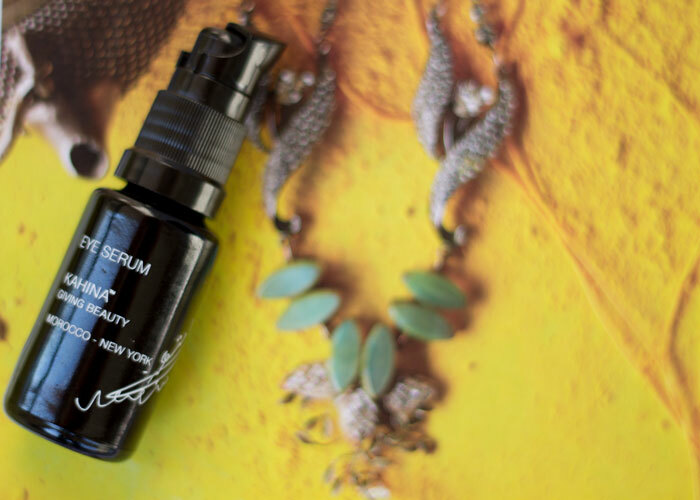 One of my daytime staples that I love for warm weather is Kahina Giving Beauty’s Eye Serum. A true eye serum, Kahina Giving Beauty’s take on lightweight eye moisturizer is elegant, simple and virtually scentless. The watery gel-like serum instantly smooths onto the skin and leaves a weightless, cloud-like layer of hydration that just feels good. I can’t get over how little you have to use and how spreadable the formula is. A little layer packs a mighty punch! You can feel it penetrating the skin as it gently firms and brightens the undereye area. With continued use (I tested for two months), you can see a gradual brightening effect, and skin feels stronger. Kahina Giving Beauty’s Eye Serum is a go-to for humid spring and summer days because of how fast it dries and how effortless the moisture feels. It’s never heavy, yet your eyes feel delicately draped in a shield of moisture from argan oil and sunflower oil, as well as age-defying peptides and antioxidants. That’s what I call a true eye serum! 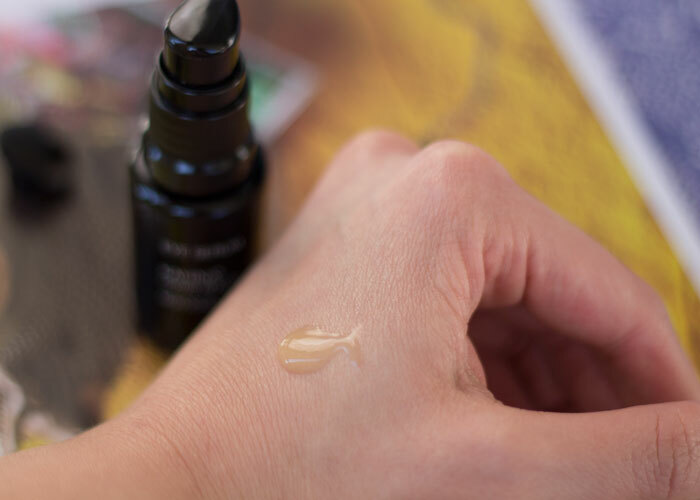 Kahina Giving Beauty formulated its Eye Serum to help increase lymphatic drainage to reduce said puffiness, which was definitely my experience, and to help minimize dark circles and signs of aging. Collagen-producing and hydrating ingredients such as peptides and hyaluronic acid give Kahina’s Eye Serum an edge over many ordinary lotions and gels re-packaged and re-marketed as eye treatments. Bonus: This eye serum never caused my eye makeup or concealer to crease, though I do always use an eye shadow primer for eye makeup. Not something I can always say about eye oils or heavy eye creams and balms. As with many Kahina Giving Beauty products, I’m a fan. I do dabble in various eye creams, eye oils and eye balms, but Kahina’s rivals many of my daytime eye treatment favorites (could it knock this one off its throne?!). I also find that as much as I want to pare down my collection, I like having a few different types of eye treatments on-hand for certain situations and seasons. For flight, I love eye oils — the more moisture, the better! For winter and harsh winds, I favor balms and creams. Lock in moisture and protect! For daytime and warm weather, true serums sway me. I need light consistency that still performs! For these reasons above, Kahina Giving Beauty Eye Serum is a repurchase (and I purchased it in the first place after having a tiny sample-with-order to play with … sold, and sold!). It’s perfect year-round, but I especially appreciate it during humid, muggy weather. Get Kahina Giving Beauty Eye Serum at The Detox Market; Integrity Botanicals; Spirit Beauty Lounge; Pemberley Jones; and Credo Beauty. What eye treatment do you prefer? How do you switch it up with the seasons, if at all? Have you tried Kahina’s Eye Serum? Tell me in the comments!